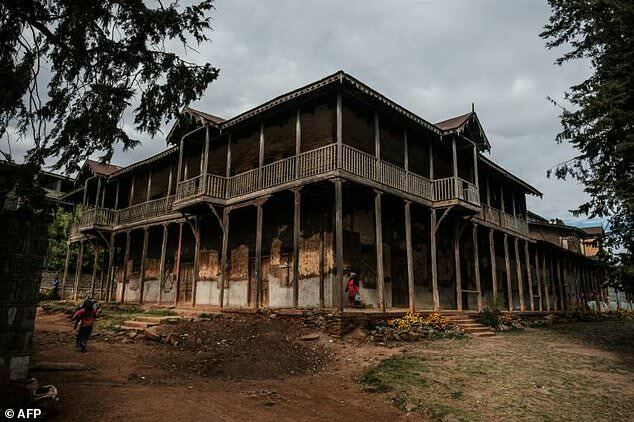 From its hillside overlooking the Ethiopian capital, Berhanu Mengistu's century-old, gabled family home has seen emperors and governments rise and fall. It has withstood economic stagnation and the rapid population growth that replaced its once-patrician neighbours with a rabble of shacks. But it now stands lonely in a field of weeds, the house's corrugated roof and red plaster walls stark against a fast-changing cityscape of cleared slums, tower cranes and glinting high rises. 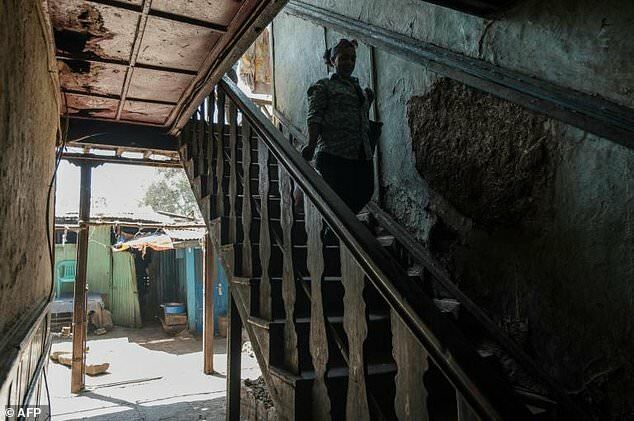 Palatial homes like Berhanu's are scattered throughout Addis Ababa, built for imperial-era courtiers and foreign business moguls, but most have slid into dire neglect as the government focuses on an aspirational building boom. "Nowadays, most of the buildings you see are more of the European architecture," said Berhanu, a supply chain manager whose house has been in his family for seven generations. 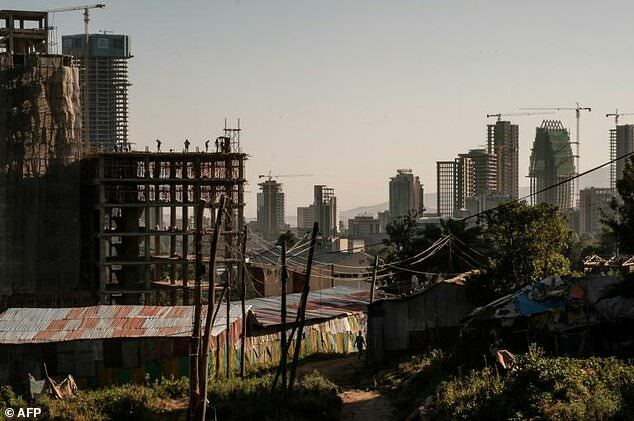 Across the capital, older, poorer neighbourhoods -- like the one that once surrounded Berhanu's home -- have been levelled to make way for glass-and-concrete towers, lauded by the government as a symbol of the rapid economic expansion transforming one of Africa's poorest countries. But preservationists worry that the breakneck development comes at the cost of the capital's architectural heritage. "There are isolated efforts of protecting, saving historic buildings, but it's really very limited," said Fasil Giorghis, a well-known architect. "It is not even a given that you should protect a historic building." Addis Ababa was founded in the late 19th century by Emperor Menelik II as he expanded the Ethiopian empire from the country's northern highlands to its modern boundaries. The young city soon filled with houses belonging to members of Menelik's government, among them Berhanu's ancestor Yemtu Beznash, the family matriarch and administrator of a powerful law court. Menelik, who died in 1913, also hired Armenians as city engineers, while merchants came from India and Yemen. That cosmopolitanism was upended in 1974 with the arrival of the Derg military junta, which dismantled the Ethiopian empire. Fasil recounted how, as foreign traders fled, the communist-leaning Derg handed their former mansions to poor tenants, who could not afford to maintain the earthen walls and wooden floors. The Ethiopian People's Revolutionary Democratic Front (EPRDF), which evicted the Derg in 1991 and continues to rule today, has presided over an economic boom. This has seen contractors from China and elsewhere set to work on half-built skyscrapers that give the capital's skyline a jagged, unfinished feel. Maheder Gebremedhin, an architect who hosts a radio show discussing the trade, says the neglect of the old buildings is due to the cost and complexity of renovation, as well as a lingering ambivalence towards the imperial past. "Because of the ideological shift, there is not a real interest to keep these buildings," Maheder said. Government and private donors have successfully restored a handful of buildings, including one of Menelik's palaces and the mansion of a former defence minister that's been converted into a museum. But city authorities acknowledge that most of the 440 buildings that have been designated heritage sites are rundown. "Because of our capacity as a developing country, they can't be repaired all the time," said Worku Mengesha, a spokesman for Addis Ababa's tourism office. 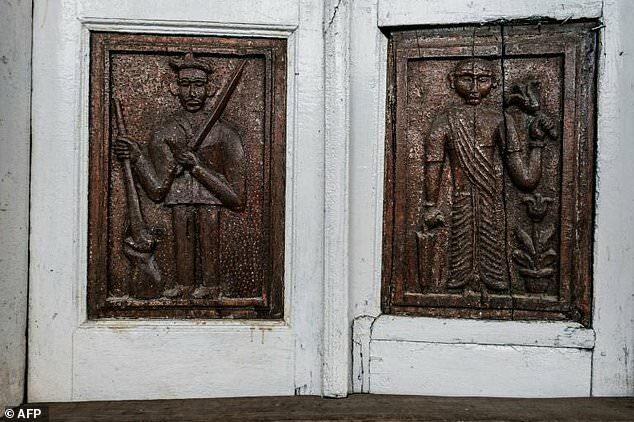 A decade ago, foreign embassies and Ethiopian preservationists tried to restore the Mohammadali house, once the property of a wealthy Indian businessman featuring prominent Indian and Arabian architectural elements in addition to its imperial-era Ethiopian style. However, bureaucracy and shoddy construction scuppered the effort, Fasil said. As a result, it is padlocked and abandoned, with parked cars sheltering beneath its Indian-inspired arches and a pair of discarded trousers draped across its faded cream staircase. Other historic buildings continue in their Derg-era role of housing for the poor, or in their slow decrepitude. The expansive former palace of Hojele Al-Hassen, a wealthy traditional ruler during the Menelik era, still houses people from his western region, who spend after-work hours socialising on the wraparound veranda. But it's increasingly dilapidated, with an entire decaying wing that once served as a school classroom sealed off for safety. 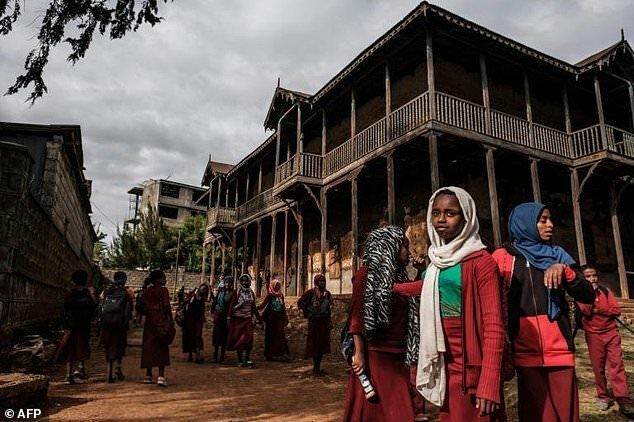 Three years ago, as city authorities levelled the homes that had mushroomed around Berhanu's house, he kept the bulldozers at bay by having his home designated an historic building. Berhanu now hopes to turn his family history into national history. Standing near a large portrait of the matriarch Yemtu, he spoke of his dream to make a museum of the house whose rooms are filled with family photographs and heirlooms, including a wall-spanning snake skin. "This is not only our property. It belongs to all Ethiopians and people of Addis Ababa," he said. He hopes the city will agree. Across the street in the slum area the government wants cleared, his neighbour Solomon Damana had recently resolved a dispute with city authorities and was following orders to demolish the small family home in which he was born and raised and move to a one-bedroom apartment on the outskirts of town. "I'm happy that one isn't demolished," he said, gesturing at Berhanu's place. "It's an historic house."